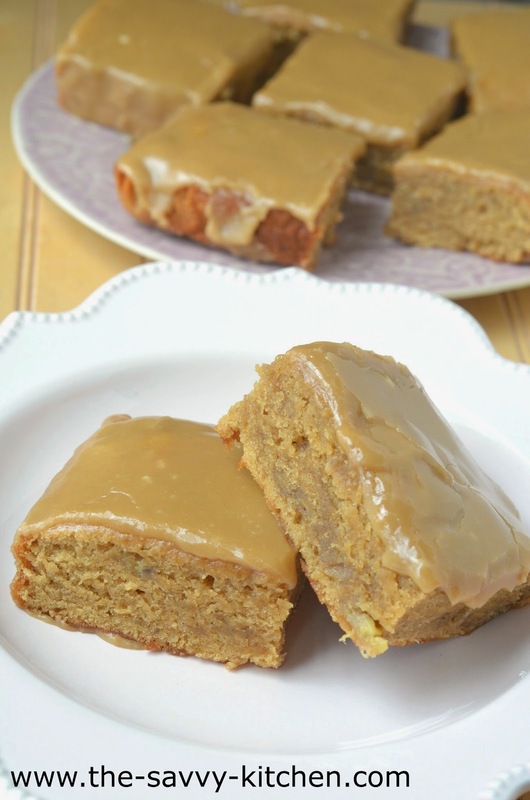 These blondies are my new obsession. I had a few overripe (aka rotten) bananas sitting on my counter, so I did what I always do. I turned those rotten bananas into a tasty treat! My mom would always take the overripe fruit and turn it into "Rotten Fruit Salad" when we were kids, and we absolutely loved it. Even if the fruit isn't "rotten," we still call it that to this day. But in this case, I took a different route and made a tasty treat that made my tastebuds explode. 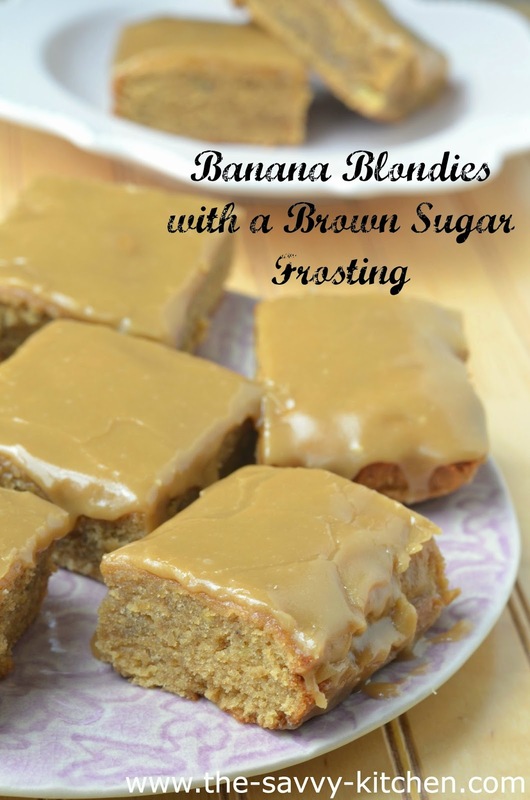 The blondie is very moist with a subtle banana flavor, but the brown sugar frosting is where it's at. I love brown sugar and everything it touches. It's buttery, creamy and rich and makes a perfect topping for any not-too-sweet cake. Blondies: Preheat oven to 350 degrees F. Line an 8x8 baking dish with foil and spray with cooking spray. Set aside. Mix melted butter and sugar with a whisk until combined. Add in egg and vanilla and continue mixing until incorporated. Stir in salt, flour and banana until batter is smooth and even. Spread in prepared pan. Brown Sugar Frosting: In a medium saucepan melt butter over medium heat. Add brown sugar and milk and stir until mixture comes to just a boil. Remove from heat, allow to cool for 5 minutes. 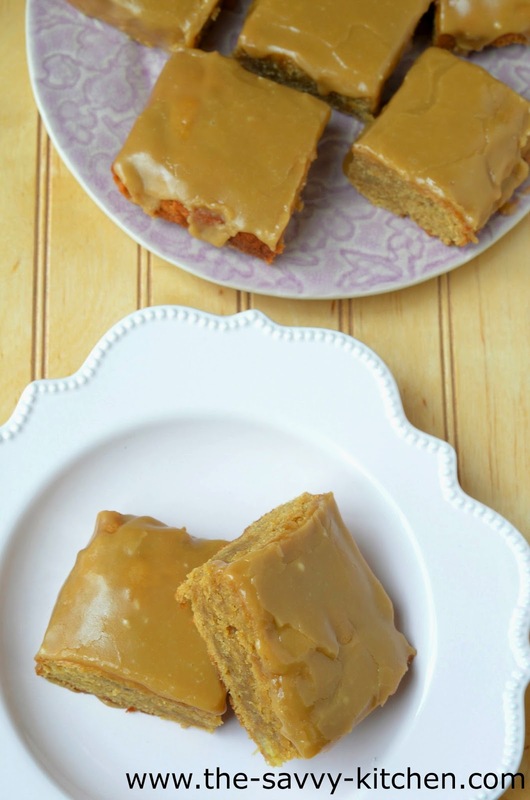 Spread frosting on top of blondies and allow frosting to set and blondies to cool completely before cutting into squares.